Welcome! My name is Pamela Dennison. My passion and purpose is not only to teach your dog the skills you need and want, but to teach you about behavior – for when you understand the mechanics of how your dog learns, and modify your own behavior, many of your problems will simply go away. All skills taught are geared toward the “real” world! From the PhD’s about punishment: watch this short clip. Regular group classes for puppy k, beginners, advanced beginners, CGC (Canine Good Citizen), TDI (Therapy Dog), and most forms of competition (obedience, Rally, Agility), specialty classes including behavior modification and aggression. March 10: AKC just announced their new Trick Dog Titles. Click here for more info. Jan 15, 2018 Announcement: Next “Pay It Forward” Scholarship. Click here. Specialty classes of all kinds. (On the Road, Training the whistle recall, Competition obedience, Growl Class, and many more!). Online Classes – Regular dog training subjects utilizing both text and videos for real time training online. All classes monitored by Pamela Dennison. Questions and interaction encouraged! 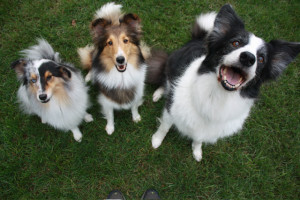 Privates and group classes for dogs with problem behaviors, including aggression. Seminars on dog aggression, Rally and competition obedience, positive (clicker) dog training and how to properly “read” your dog; all at my training facility and at other facilities and dog clubs within an 8-hour driving distance. Mission statement: To effectively teach dog owners how to build a positive relationship, erecting a line of communication with their dogs and train in a positive and non-punishing way to promote success in whatever their goals may be. Serving Warren, Morris, Hunterdon and Sussex counties (NJ) and Northampton, Pike and Monroe Counties (PA). Washington, Port Murray, Independence, Belvidere, Hackettstown, Hope, Blairstown, Great Meadows, Buttsville, Oxford, Hackettstown, Mansfield, Liberty, Knowlton, Columbia, Frelinghuysen, Budd Lake, Long Valley, Easton, Stroudsburg, Clinton, Flemington, Annandale, Long Valley, Phillipsburg, Stewartsville, Bloomsbury, Harmony, Alpha, Califon, High Bridge, Lopatcong, Hopatcong, Pittstown, Hampton, Randolph, Somerville, Dover, Flanders, Mt. Olive, Roxbury, Chester, Mendham, Jefferson, Mt. Arlington, Morris Plains, Succassunna, Manville, Morristown, Easton, Delaware, Delaware Water Gap, Sciota, Martinsville, Tannersville, Pocono Manor, Scotrun, Saylorsburg, Brodheadsville, Marshall Creek, Shawnee on the Delaware, Stroudsburg, E. Stroudsburg, Stroud, and many more. Call or use my contact form for more information. Check pricing or learn more about me! The Black and White Club: The video clips below are from what I call the Black and White Club. It is a walking group where some of my students and I get together and walk our dogs off leash in safe areas. Sometimes we just have a few dogs, sometimes a large crowd. Anyone is welcome to join us as long as your dog is good with other dogs, you have good off leash control (or you can start with leash dragging) and comes when called. Comment from a YouTube viewer: This video made me feel so happy! I took my dogs on a “pack walk” a few months ago (the name alone should have made me realize it was a bad idea). Instead of hearing “good boy”, “good dog”, whistling, “yay!” and seeing treats being given out as shown in your video, there were constantly people screaming “no”, “get over here”, “stop that”, and zaps from e-collars being given out to non-compliant dogs. Your walk seemed like a ton of fun for the dogs. The “pack walk” was a stressful experience. Contact Pam for info on having a fun walk experience!